← Summer Book Review Finale: Learnings? “Does someone pay you?” quipped my daughter this morning as I tried to explain my current self-employed status. She and my son have been on the “does Mom work?” line of questioning over the past week. It is clear to me that they are struggling in their minds to understand my role, or said better, my changed role. In an odd way they remember my not being there — not from my absence at any one event but more clearly through the presence of our beloved nanny – our Oonie. We talk about Oonie regularly. Silly, funny, happy stories. This morning I also got a, “why couldn’t you have a ‘normal’ job?” I think it went on to something like, “You know the kind you go to.” While these comments are tainted by a child’s desire to ‘fit in,’ I also say WOW! How does society do it so quickly. They are six and eight. Already they have rigid notions of the appropriateness of some types of work. This whole back and forth with my kids has convinced me of one thing: I haven’t anchored their view of my role in anything they can understand. I wonder if it’s just them? I remember a conversation from over a decade ago that I had with a former HBS professor of mine, Jim Cash. We were discussing ‘hiring’ and my then company’s need to hire more professionals. I recall him saying that full-time employment would go away and be replaced with individuals doing “gigs” as independent consultants. At the time I thought it was a very futuristic point of view. Now I think it was incredibly well-founded and that as a society we aren’t moving fast enough towards this state. Of course if you ask recent college-grads, men over the age of 45, and women in transition, I think they’d all agree that this state has arrived — even though employers haven’t quite caught on. Truth be told I almost bailed on my transition this week. The trigger was a conversation I had with some folks regarding my former role. It was nothing short of enchanting. To have a dialogue on meaningful issues and seek buy-in and resolution all within the frame of two hours. It was so much fun I was on the edge of personally committing to any job — regardless of the life stage sacrifices required. BTW, suits are still in my closet. I guess this momentary lapse coupled with my children’s trolling for a ‘name’ for what I do are all part of my transition process. My summary today is that it takes an iron will; it would be easier to hop back into a role. But what of the life stage needs that I am trying to integrate into my working self? I was moved by a comment in Sunday’s New York Times coverage of the 9/11 decade. It appeared in the Sunday Review. A Pakistani author, Ahmed Rashid, wrote a piece entitled “Hate begat Hate.” It was a powerful article written from the perspective of those outside America. At one point he notes that both sides, America and Pakistan, have failed to “empower people with a future.” (NY Times, 9/11/11, pg sr7) An interesting perspective with vastly different consequences depending on whether you are an American or a Pakistani. To Mr. Rashid’s point, I am trying to empower myself with a future through this transition. Along the way I’ll hope to give my kids a solid anchor with which to think about my role and the role I seek to play in this world. I’d be lying if I didn’t say that some days I feel as rudderless as our decade long conflict that Mr. Rashid wrote about. 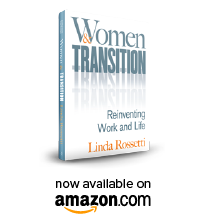 This entry was posted in Observations on Transition and tagged career transition issues, observations from a women's transition, women's issues, women's transition issues. Bookmark the permalink.